5Allenzplus: October 23, it was a very good day! October 23, it was a very good day! Six years ago today, around 3 p.m. our lives changed forever. I remember best friends who dropped everything to bring us car seats and help me shop for blankets and gowns and diapers and pacifiers and bottles and formula and reminded me to eat. I remember Elijah ate more french fries than any human should consume at one time. 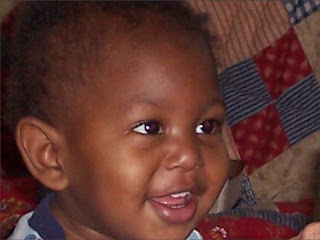 I remember Isaiah shopped with me until 2 a.m. and never cried- which I later learned wasn't really a good sign. I remember within hours of the prayer chain announcement my living room looked like a bomb had gone off, because our church family kept bringing things for us to use. I remember looking over to my right several times during the night, to see a baby who refused to keep the blanket on his feet. Said baby did not yet own any socks. I remember the first time I looked at their faces and held them in my arms and knowing I already loved them. I remember the joy and fear and questions and pride and excitement and exhaustion that was immediate and relentless. I remember knowing in my heart, that these boys were a direct and wonderful gift from God but having no clue how difficult the three year journey to adoption would be. I remember it was a very good day. Plans Change, Dreams Not so Much. I'll take Dentist for two, please. New school, new year, new plan.